There are many great treasures that play a role in making the Upstate an amazing place to live and visit. Some, like the Liberty Bridge & Downtown Greenville, Abbeville Opera House, Table Rock Mountain, Clemson University, Greenwood Genetics Center and BMW are very well known and familiar with residents and visitors alike. But there are other businesses, communities and initiatives that don’t necessarily receive the same level of publicity or national recognition, but are among the “hidden gems” that make the Upstate such a wonderful place. 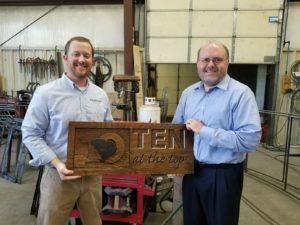 Recognizing that every part of the Upstate has its own “gems”, in 2015 Ten at the Top began the Getting to Know Your Neighbors Upstate Bus Tours to showcase elements that make each of the ten counties in the Upstate special. Over the last four years, participants have been treated to hands-on tours of a wide range of regional assets supporting many different aspects of our economy and quality of life. Whether it be education, research and workforce training facilities, high-tech manufacturing facilities, cutting-edge social service provider initiatives, breathtaking waterfalls, trails and historic parks or beautiful downtowns with a great sense of place, the region has many “gems” that are part of the story of what makes the Upstate a leading place to live, learn, do business and raise a family. Our most recent tour took participants to parts of Spartanburg County that are not necessarily on the beaten path, but are truly “gems” within the region. 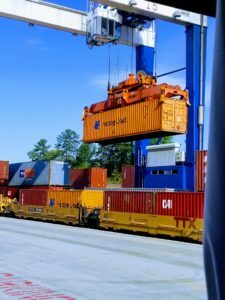 Anyone who follows the Upstate economy has likely heard of the Inland Port in Greer. Since opening the doors in October 2013, the Inland Port has become a valuable asset that has been a deciding factor in many businesses locating or expanding efforts in the Upstate. It is one thing to see pictures of the Inland Port or view it from the road, but a totally different experience when inside the terminal and viewing the unloading of containers from right next to the cranes. 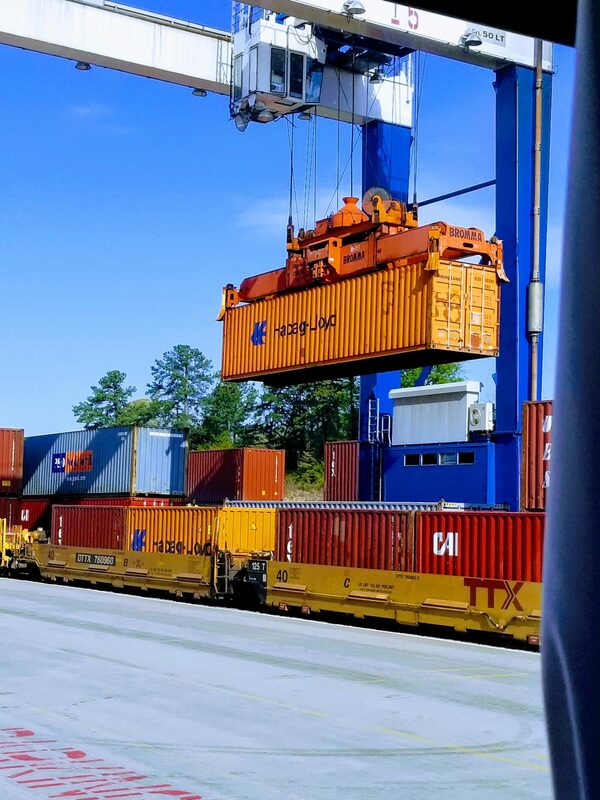 The Inland Port has roughly 40 employees and the crane operators are incredibly talented as they quickly move containers around to ensure the greatest efficiency possible for truckers moving through the facility. Spartanburg County has many great employers and companies. One that you may never have heard about, but have likely seen their work, is The Heirloom Companies base in Campobello. Tucked within that beautiful area of the Upstate, this company has been producing custom designed wood and iron pieces for nearly a quarter of a century. A gift from The Heirloom Companies. Mixing old-world craftsmanship with modern technology, The Heirloom Companies create one-of-a-kind pieces that can be found in places like Walt Disney World’s new World of Avatar as well as locally at the A.C. Hotel in Spartanburg and the Cancer Survivors Park in Greenville. Watching their 30+ employees design and create unique pieces right before your eyes using both new-age CNC machines and traditional craftsman methods is quite awe-inspiring. Much has been written about the downtown transformations in Greenville and Spartanburg, but the City of Landrum has also created a unique downtown vibrancy that makes it an attractive destination for visitors from both near and far. The downtown is filled with specialty shops as well as a growing number of restaurants and soon will have a community museum. With the FEI World Equestrian Games coming right down the road to Tryon in September, Landrum is gearing up for what should be a very busy summer and fall. Just a few miles down the road, the City of Inman is working to grow their own uniqueness and vibrancy. A new streetscape project is underway to enhance the walkability of their downtown corridor. In addition, the old Inman Mills location is being re-developed as a mixed-use residential community that will give Inman much-needed housing options for people looking to live close to jobs in Spartanburg County while also being able to enjoy the charm of living in a smaller community. Of course, any tour of Spartanburg County would be incomplete without checking in on all the great things happening in the City of Spartanburg. Because our 2016 tour of the county focused on its largest city, we spent only a portion of the day in downtown Spartanburg, but still saw a taste of all the amazing things transforming the city. From the 10th floor of the new A.C. Hotel, you can see all the construction happening across the city. 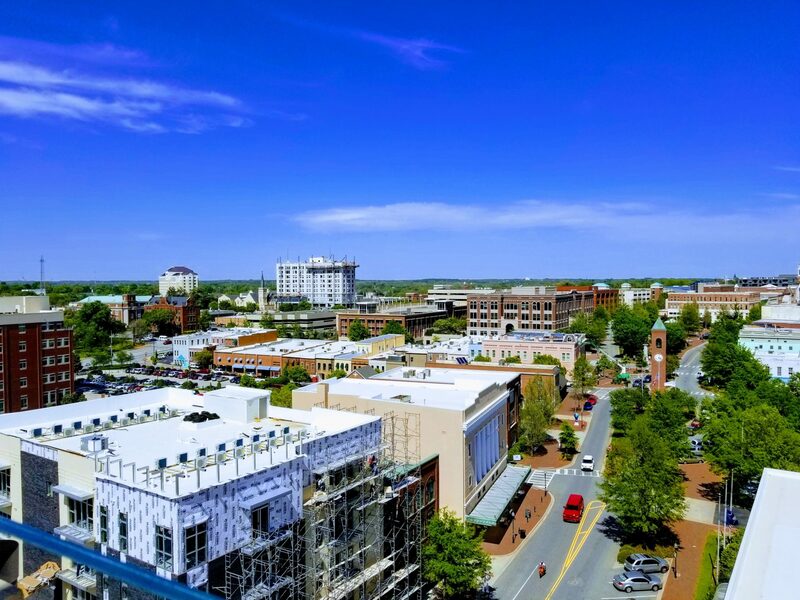 With more than 40 new businesses and restaurants opened in the last year, the City of Spartanburg is continuing to grow its stature as a bustling and leading part of the Upstate. A vibrant region includes many individual “gems” that combine to sparkle at a greater magnitude together. The Upstate is truly blessed to have such a wide array of unique assets. Whether it be through our future tours or your own exploration, I encourage you to discover some of the special “gems” in the Upstate. Check out www.tenatthetop.org to learn about future tours and the many “gems” in the Upstate.